This owner's manual is for the original PN-2E power nozzle that has the circuit breaker and red power light. Later versions the factory removed the circuit breaker and power light. This manual covers the power nozzle serial number 7000000 with a start date of August 5th 1998 through serial number 7617931 and an end date of December 8th 2003. The matching Rainbow is the E-2 (e SERIES™) and R7932 for the first version or R10117 for the second version manual. The E-2 (e SERIES™) became a turning point in the design of all other models and is still the basis for every design since all the way up to the E2 Type 12 (e2 Black) version. 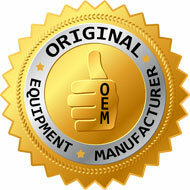 We provide a complete 4 year warranty on parts, and a lifetime labor warranty. This model has had several revisions and we make sure that all updates are done during the refurbishing process. If something should go wrong, all you have to do is call and our specialists are here to help. If it is not something simple that can be handled over the phone, we will have your unit picked up at your home the next day for free. If you have this model and would like to order for quick delivery, call us and we can include a return label for your unit to receive a credit. Does not include water basin. All warranty work is done the same day. This unit is completely Brand New. Every nut, screw and bolt.